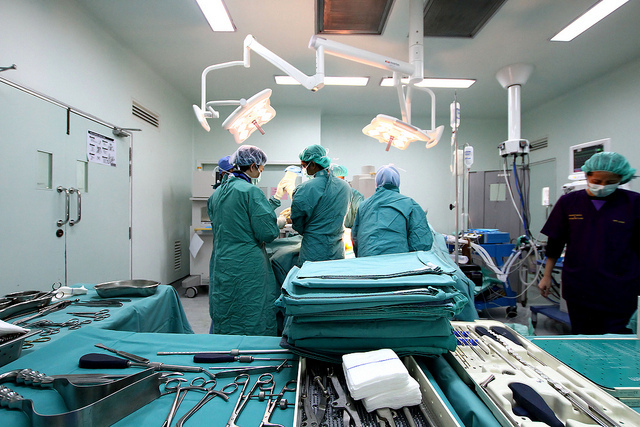 Brain surgery is challenging surgery. When brain tissue is handled incorrectly, the consequences can be catastrophic. The manoeuvres in brain surgery require dexterity, precision and careful force application, but even the best surgeons have limits. We humans are imprecise and we make mistakes. Robots, on the other hand, can operate beyond the physiological limits of a human. This is a central concept to many surgical robots: the perfect fusion of human and machine. In brain surgery, the NeuroArm is the finest example of the assistive surgical robot concept. It is a remote-controlled robot that can operate with micro-scale precision. It is also one of the few robots in clinical practice to incorporate haptic-feedback, so that the surgeon can not only see what they are doing, they can also feel what they are doing too. The robot does this by continually sensing the minute tool-tissue forces and relaying these sensations back to the surgeon. There are downsides though. This type of robotic system is large, expensive and is yet to be widely adopted in to clinical practice. For the 2014 IGHI Student Challenge, we proposed an alternative solution to help surgeons handle brain tissue delicately. Rather than developing new robots, we sought to integrate robotic technology in to existing surgical tools. We developed a smart surgical dissecting device. It can sense the delicate tool-tissue forces and uses a subtle vibration to inform the surgeon if they apply excessive force. 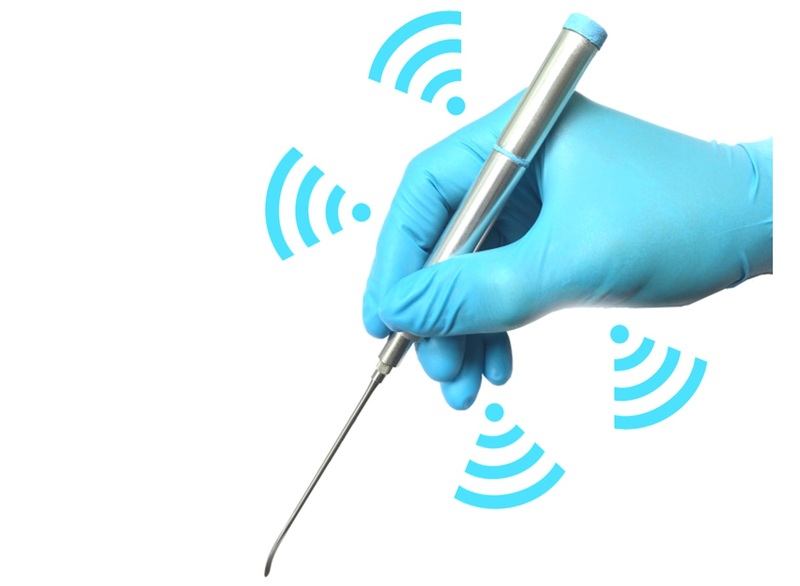 Our smart surgical dissector: it vibrates if the surgeon applies too much force. There are many advantages to our approach. Cost is a significant one: our device can be made many times cheaper. It is also intrinsically robust and considerably less likely to fail during operation. This is important because it eases the path to translation: the process of moving technology from bench to bedside. It also has the advantage of existing surgical tools – it can simply be picked up and used, as and when needed during a procedure, with no setup time. We pitched our device concept to the dragons in January and provided evidence that it could improve user performance. However, there were still some shortcomings that we wanted to address. One issue was that we could only measure lateral dissection forces but not the “push/pull” type forces that are also experience during Microneurosurgery. We had also yet to prove that the device was clinically effective, beyond a single cadaveric study. We organised a comprehensive user study to demonstrate the impact of the device on trainee medics. For this, we had to use a simulated brain model or “phantom” and prove that it was sufficiently representative of a human brain. The brain itself is 3D printed and contains mock anatomical features; arteries, veins and the arachnoid membrane. We conducted a study to show that more experienced surgeons perform better than trainees on the simulated brain. This is what’s known as proving “construct validity” – proof that the model is sufficiently representative of real life. The simulated brain model that allows trainees to practice surgery. Following, this study a second randomised study demonstrated that trainees exert less force when using our smart instrument. 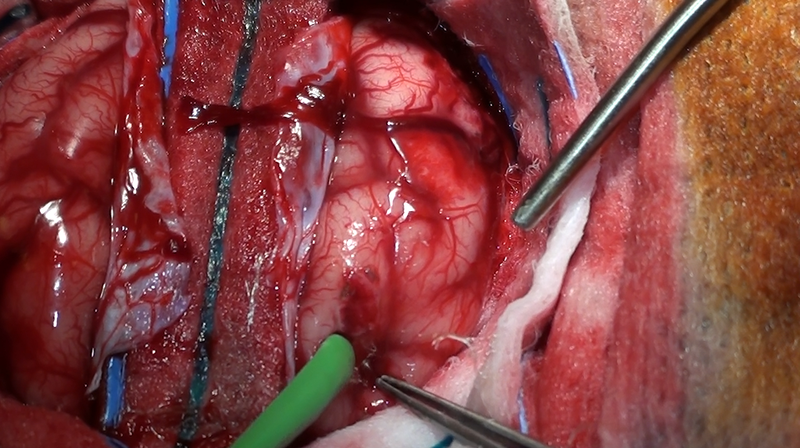 The hope is that it could be used as an effective training tool for trainee neurosurgeons, but also potentially other micro surgeons working in areas such as ophthalmology or ENT surgery. During this same period, we also had the opportunity to present our results to the neurosurgical robotics community. The Hamlyn Symposium was a wonderful event and our findings were well received. Chris discussing robotic neurosurgery at the Hamlyn Symposium in June. More recently, we performed an in vivo study to provide further validation of our device. 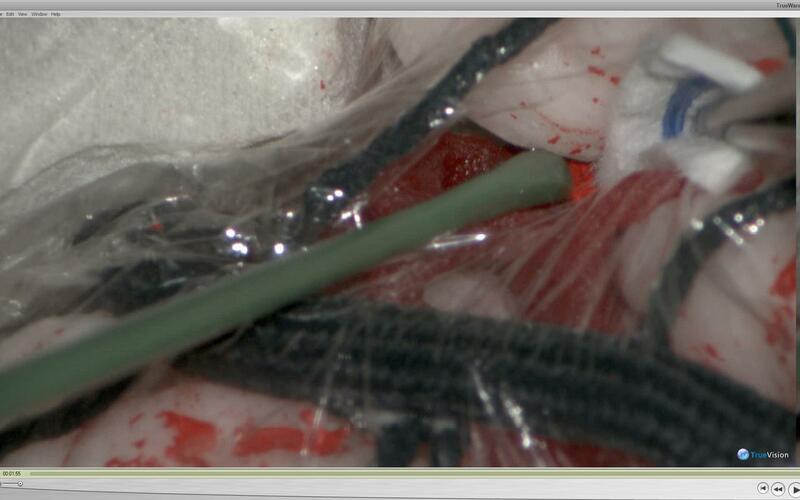 This allowed us to demonstrate the efficacy of our device in a scenario very close to real clinical deployment. Again, a randomised study showed that forces are reduced when the device is activated. Our results have been submitted for review and we will soon be able to disseminate our developments to the clinical community. Hani operating the smart surgical dissector during a tissue retraction task in an in vivo study. We are both enormously grateful to the IGHI for the opportunity they have given us. 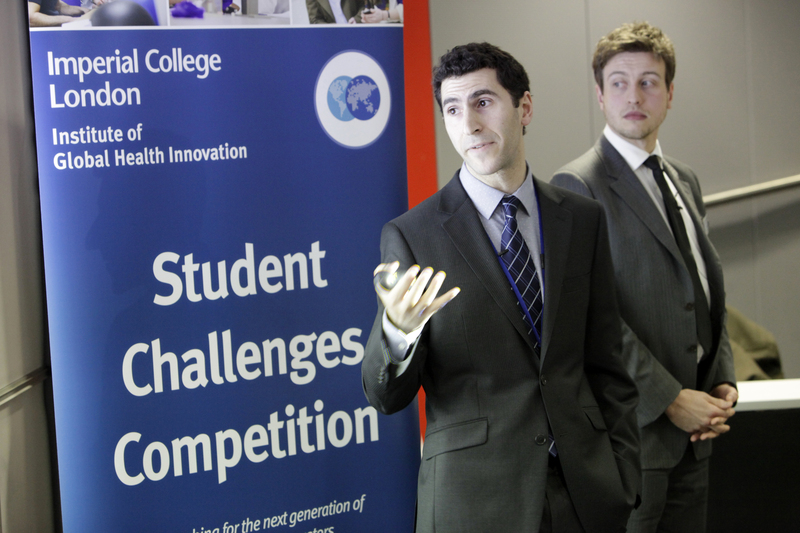 It has been a wonderful experience and we would encourage anyone to submit their health innovations to the IGHI student challenge for next year. This entry was posted in Medical devices#, Student Challenges, Student Challenges Competition. Bookmark the permalink.